Everyone wants whiter and brighter teeth, so don’t sabotage your smile by practicing habits that stain it. Discover how to prevent tooth discoloration and have the whiter, brighter smile you’ve always wished for and wanted. Dark-colored foods and beverages can spoil a white smile. Tea, coffee, red wine, and tomato sauce have stain-causing chromogens that cause major tooth discoloration. Try to reduce your intake of these foods and drinks to prevent stains from developing. If you happen to have these darker items, rinse your mouth afterward to decrease their stain potential. Regular flossing is a friend to a white smile. Flossing every day also gets rid of the plaque that’s built up on your teeth, which can cause severe staining. But by flossing at least once a day, you save yourself from stained teeth. Surprisingly, drinking coffee hot causes more tooth discoloration than having it lukewarm. Drinking hot coffee can cause small fractures in teeth, which can attract and trap stains. It’s hard to completely avoid dark-colored beverages, so try to consume them through a straw to avoid discoloration of teeth. By sipping through a straw, the dark drinks don’t have direct contact with teeth, which helps prevent staining. Did you know that chewing sugar-free gum after meals can reduce your chance of stained teeth? 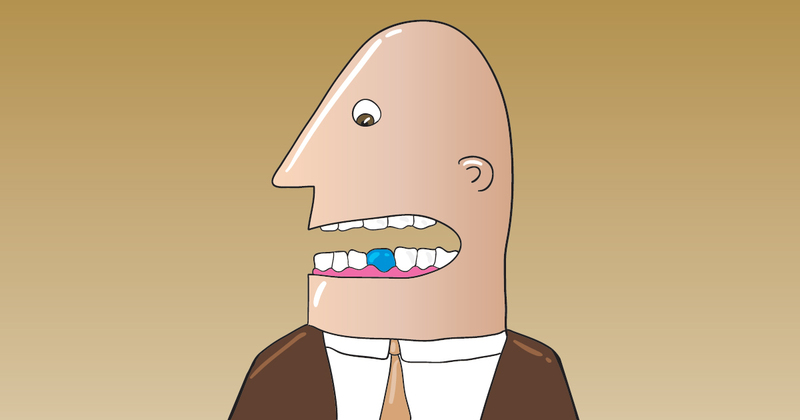 See, chewing gum increases your saliva, which rinses away excess pieces of food that can stain a white smile. Tobacco can harm your teeth as much as your overall health. Smoking increases your risk of lung cancer, heart disease, and tooth discoloration. See, cigarettes contain nicotine and tar, which cause major discoloration of teeth. Better to quit smoking, than to live and die with a stained smile. Professional dental cleanings keep your smile healthy and your teeth white. Twice-a-year professional cleanings remove the build-up of plaque that can cause permanent staining. But with regular professional cleanings, your smile can stay healthy and bright.